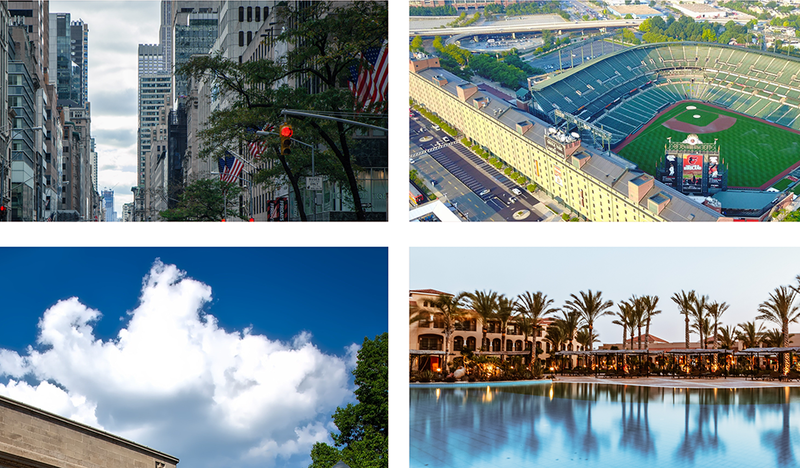 According to the most recent RCLCO Sentiment Survey (for the record, completed before the recent Brexit vote), the nation’s economic and real estate market conditions are rapidly approaching the seventh inning stretch. It’s late in the game, a few fans are heading to the exits early to beat the traffic, but there’s plenty more action to come and the outcome is far from certain. Actually, baseball innings are not a particularly good metaphor for economic and real estate market cycles, because this implies a steady forward progression, and we know that real estate markets are much more fluid and dynamic. It is possible for markets and particular real estate product segments to skip ahead unexpectedly in the demand-supply continuum, go sideways, or even regress back to an earlier stage in the cycle. So, forget America’s pastime—focus instead on the current and most likely upcoming cycle “stage” your metropolitan economy, market(s), and key product segment(s) are in. National economic and real estate conditions may or may not be approaching the proverbial seventh inning stretch, but we are in an advanced stage of the current cycle and have been for an extended period of time. Increasingly, respondents to RCLCO’s Market Sentiment Survey are asking themselves how much game is left in the expansionary phase of this market cycle. 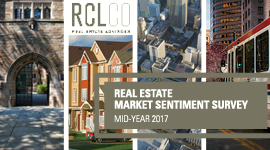 In a continuation of the downward shift in sentiment that began six months ago, the RCLCO Real Estate Market Index declined for the second survey in a row, and at nearly twice the rate as seen previously. Sentiment now stands at the lowest levels since 2011. Current national sentiment is 18 points below where respondents predicted it would be 12 months ago, when a downturn seemed like a more distant possibility. The downward trend in sentiment is driven by a decreasing percentage of survey respondents reporting that national conditions are getting moderately or significantly better. For the first time since 2011, fewer than one-half of respondents (45%) say that national conditions are better today than they were 12 months ago. Looking forward, only one-third of respondents predict the U.S. economy and real estate markets will improve over the next 12 months—again, more pessimistic than any survey since 2011. 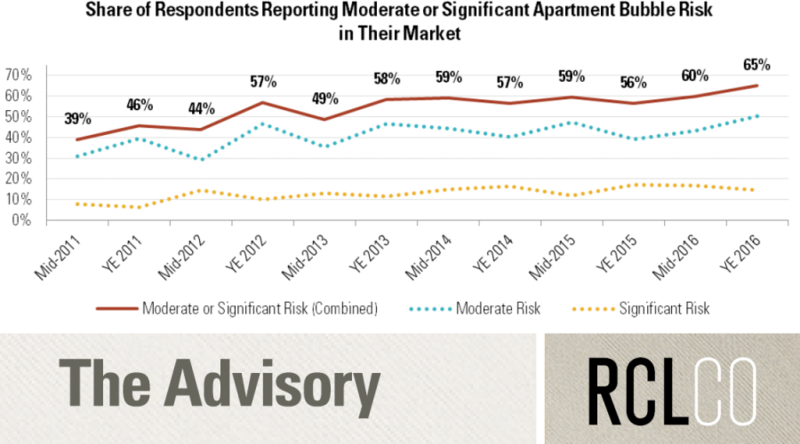 One year ago, survey respondents were split on the timing of the next real estate downturn. In the two surveys since, respondent expectations have coalesced around a 2017 or 2018 timeframe. Overall, 80% of respondents predict a downturn before 2019. We have all heard by now that economic expansions don’t simply end because they are getting long in the tooth, but rather they get snuffed out by changes—and usually, shocks—to the system, including overinvestment and/or asset bubbles, government policy changes, geopolitical conflict, and other external events (e.g., Brexit). However, it is fair to say that the probability of such events/afflictions causing a recession increases the longer the market recovery carries on. The balance between the positive indicators and potential curveballs, outlined below, leads us to conclude that the next real estate downturn (which is inevitable) is likely to be relatively shallow and of short duration. Employment and GDP growth have been slow but relatively steady. Financial institutions and U.S. households have largely cleaned up their balance sheets. The U.S. household savings rate stood at 5.4% in April 2016, well above the run rate below 3.0% leading up to the Great Recession. The consumer confidence index is high and has been holding steady for the last year in the mid-90s. 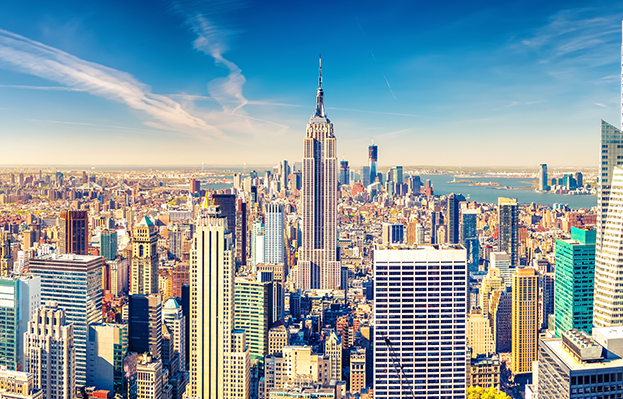 Real estate markets are not overheated and, with the exception of some select apartment submarkets, are generally in a healthy demand-supply equilibrium. Interest rates are low, and inflation seems to be under control.,  Corporate profits, while moderating recently, are still comfortably above normal recessionary levels. This does not mean that the skies are totally clear. Even before Brexit, the Fed did not seem poised to change monetary policy anytime soon, and, therefore, that risk to the expansion seems relatively remote, although the Fed’s recent commentary indicates that we may be experiencing an asset pricing bubble. There are also plenty of other potential factors to worry about, including Brexit (it’s early to tell the long-term impact, but in the immediate term, the U.S. may look like a safe haven for global capital relative to Europe); energy spikes (but U.S. shale production will likely mute any impact of surges in crude oil prices); deceleration in China (but the Chinese ruling party has much to lose in a slowdown, a fairly robust command and control infrastructure, and considerable dry powder to keep things rolling, at least for now); overbuilding in U.S. real estate (but housing construction is still far below levels supported by normal ratios suggested by underlying job and household growth); and North Korea remains as nutty as ever (no buts here). 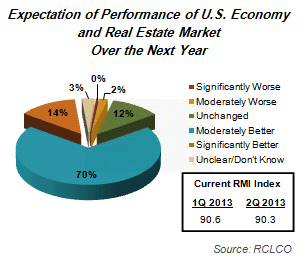 We think the RCLCO Sentiment Survey respondents have it right. There is a probability of a “little cycle” in the next 18 to 36 months. There is always potential for a “black swan” event, but we not expecting a severe downturn. Rather, RCLCO expects this little cycle will have a relatively short duration of approximately 18 months of weakness/decline until the bottom and then resume healthy growth thereafter. 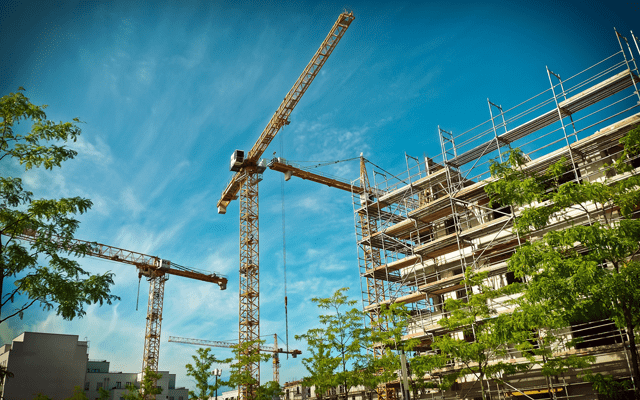 A shallow downturn of this nature will not be sufficient to cause a meaningful decline in rents, nor for land to get significantly repriced, and while this period of slower growth will cause some disruption, it is not likely to be systematic failure. The probability of a little cycle increases as expansion continues, with risk of downturn by the end of 2017 of 50%. This probability increases to 75% by the end of 2018. 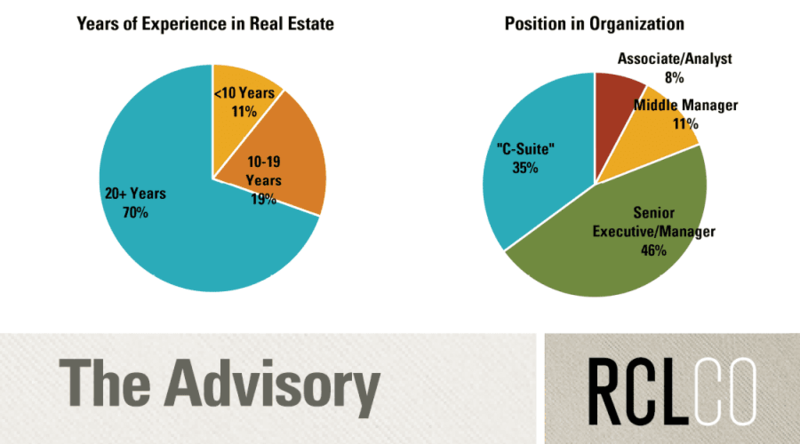 For sophisticated real estate companies, this probably means your cycle strategy dashboard has already signaled the need for an adjustment in tactics. If your company has not already instituted a formal, or even informal, standing market monitoring and cycle planning committee, now is the time to get the company prepared to survive, and ideally thrive, in the next inevitable downturn. Take a more detailed dive into the current and likely near-term future position of various real estate product types on the RCLCO cycle stage graph. Outline what every real estate company should be doing to prepare for the next phase of the cycle.